Every Sci Fi fan’s favorite hand held device, of course, is the tricorder. Those are almost a reality today, thanks to a $10 million prize offered for the company that develops one. Here’s some recent news coverage. So, real tricorders are just around the corner! 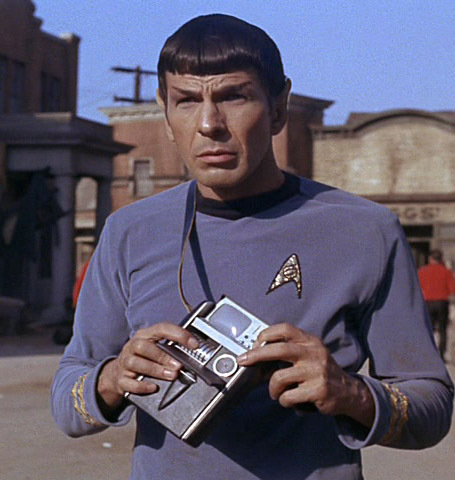 Who knew that a tricorder would be proven to be too large and too inflexible just 40 years later? We’ve had several handheld devices compete to be your favorite. We’ve had PDAs, personal audio recorders, watches with news feeds, and many more. There was a time that an operations manager at Six Flags Magic Mountain had to wear a pair of two-way radios and a beeper (remember those?) to stay in communication with staff. Thankfully, those days are gone. I used to know what a camera was. You know, the kind you put film in? I did that, a lot. Those were good days. Today, a phone is a camera. Oh, and a flashlight, a thermometer, a compass, a level, a phonebook, a clock, a game console, a two-way, a juke box, a radio, a book, a computer, an alarm … and I’m just getting started. Dedicated cameras have survived in ways that beepers, PDAs and wristwatches have not. However, it now appears that smartphones and their ever-improving features are having a negative impact on digital camera sales … down nearly a third in England over the last 5 years, for example. Smartphones have put millions of cameras into consumers’ hands, and in some cases, those phones have replaced cameras. Since dedicated cameras have better photographic functionality … what should you do? Carry 2 devices, or “make do” with just your smartphone? Note: the idea of only carrying a camera is just not possible today! In the latest twist, according to this article, Nikon may soon introduce a camera that uses 3G to connect to the web and use apps. Instagram on your camera? Just wait a couple of weeks, and it appears that we’ll be there. I guess it only figures. I mean, an e-reader can use 3G, so why not a camera? Or will the camera just be WiFi capable, as with the lower models of the Kindle or iPad? Time will tell. In theory, this means that Nikon’s extending their CoolPix series with a ‘net capable camera … so that means we’ll have the option of a better point & shoot that runs onboard apps for processing and uploads pix directly. Just like your smartphone … but with better optics? It’s hard for me to believe they could deliver better processing, too. Will that encourage you to carry a web-capable camera in addition to your smartphone? Or is Nikon barking up the wrong tree? For today, my vote is with a high quality camera (which is why I carry a DSLR). I seldom shoot with my smartphone, which, I know, just means that I’m too old to understand. But I don’t wear a watch anymore. That’s some progress, right? 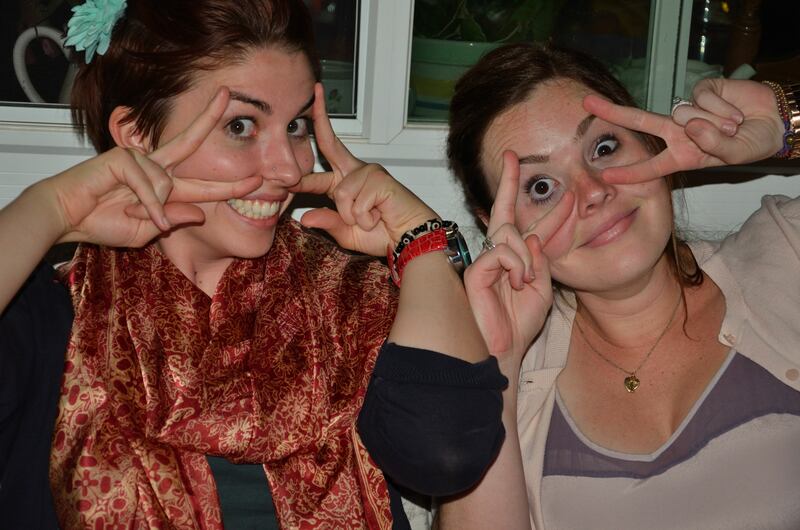 This party pic belongs on facebook, right? Immediately, right? Unfortunately, I shot it with my DSLR, uploaded it to my computer, opened processing software to edit and downgrade the file, and THEN I uploaded it. Maybe Nikon does have a good idea! Here’s the news release for the new Nikon cameras announced today: http://www.nikon.com/news/2012/0822_cpx-s_01.htm. Yes, they are offering purpose-built cameras that aim to replace smartphone used as cameras. Will consumers find the cash? I know I’m interested in one of these as an alternative to carrying my full DSLR rig … but am I THAT interested?